​Update 1/30/2012: This trip is sold out! Stretching from the Alps in the north through dramatic Lake Como to the fertile Po valley in the south, the region of Lombardy offers a wonderful culinary diversity. Historically separated from each other, the cuisine of each city and province is different and unique, with its own recipes and traditions. Just to the south, the scenic region of Liguria is home to the Italian Riviera, including famous destinations like Portofino and the Cinque Terre, and is well-known for its authentic, fresh and excellent local cuisine. 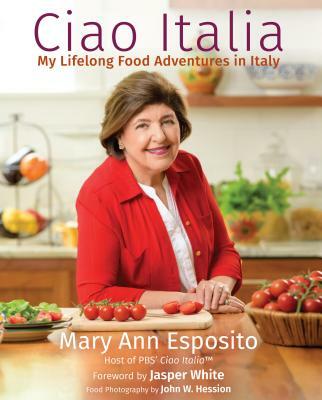 What better way to discover the delicious cooking of Lombardy and Liguria than with Mary Ann Esposito, host of the longest running cooking show on public television, Ciao Italia, now entering its twenty-third season. Mary Ann will travel with the group throughout the entire tour and conduct two hands-on cooking lessons in which she'll help you to prepare her favorite regional recipes. Her husband, wine expert Guy Esposito, will also provide an ongoing course on the wines of Lombardy and Liguria throughout the tour. I would like to take a trip to Italy with Ms. Esposito. I met her at an authors' event in Haverhill, MA. When is the next trip? What is the price for the trips to Italia? I would like to find out more about upcomming trips with Maryann. Could you please add me to the mailing list. Or if some one cancels for this year. Thanks so much. Please add me to the mailing list for information regarding trips to Italy with Mrs. Esposito.